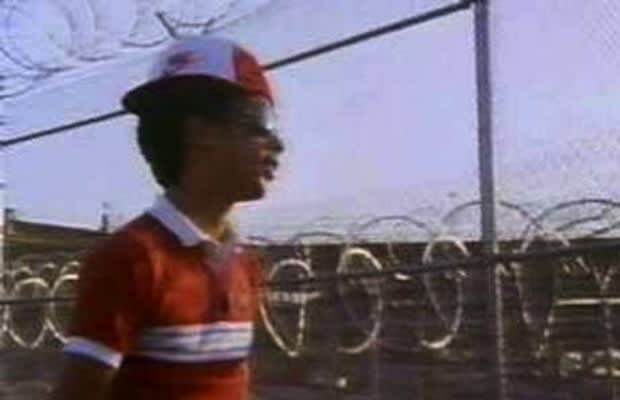 One of the original hip-hop docs from the Style Wars era, this BBC film clearly attempts to show hip-hop to a world that, at the time, couldn't yet make sense of it on their own. So, yeah, it's a little cheesy (thanks in part to narrator Gary Byrd), but that doesn't discredit what it does well. Beat This acts an untouched time capsule of an exciting time in the genre and in the city, with enough vintage footage of a graffiti-covered NYC to make it an exciting discovery. Since Beat This is, basically, a history lesson, is not without its teachers. We're guided through hip hop's inception (and through the Bronx) by Malcom McLaren (the man behind bringing rap to the U.K.), The Cold Crush Brothers, Jazzy Jay, The Dynamic Rockers, and more. The film's strongest attributes, however, are its glimpse into DJ Kool Herc's infamous dance parties, which provide a lively offset to Byrd's dull voice-overs.